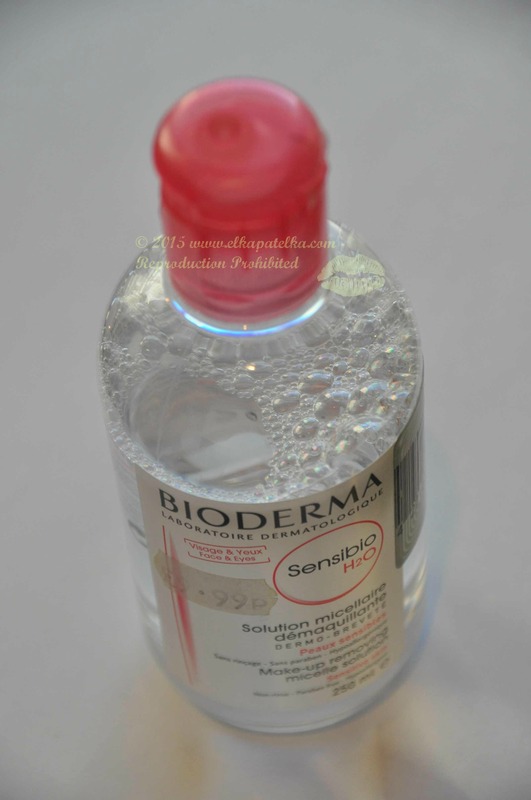 Bioderma Sensibo H2O is a dermatological micelle water compatible with the skin, as its fatty acid esters-the basic elements of micelles-are like phospholipids of the skin cell membranes. That helps to rebuild the skin hydrolipidic film. After a long time I found it in a pharmacy in London, when I almost forgot about that recommendation. I use for my make up remover a face wash gel and Lancome Galateis Douceur Cleanser. Bioderma Sensibo is sensationally good. It removes all dirt and make up quickly and leaves skin fresh, clean and ready for the next steps of care. Face skin is so baby clean, I love it. This micellar water did not cause any irritation or allergy on my sensitive skin. I loved it, as it combines performance and very high tolerance. Moreover it soothes and clears irritations. Bioderma Sensibo H2O removes water resistant make up as well. You will be so positively surprised how quickly it removes any signs of make up. Bioderma recommend to soak a cotton pad with Sensibo H2O, cleanse and remove make up and re-apply until cotton pad is clean. It is a very good gentle make up remover product, ideal for sensitive skin. I like the freshness it leaves on my skin and that is why it has its space on my bathroom shelf. Maybe it is a cucumber extract that gives that softness and freshness. This entry was posted in Bioderma, Cleansers and tagged BIODERMA, Bioderma Micelle Solution, MICELLE SOLUTION, SENSIBO H2O, SENSITIVE SKIN MAKE UP REMOVER.